many secrets. Rayne can’t explain her crazy need to trust the strange yet compelling boy—to touch him—to protect him even though he scares her. The beginning of Jordan Dane's latest series, The Hunted, is a head scratching but undeniably, intriguing tale. Indigo Awakening presents a new idea based on real conspiracy theories, but Dane spins the idea into a action packed thriller. The Indigo children, so called for the indigo aura that identifies their evolved race, are gifted with psychic abilities, representations of the future of humanity. Their powers that are proof of a rising evolution could be destroyed by the Church of Spiritual Freedom. 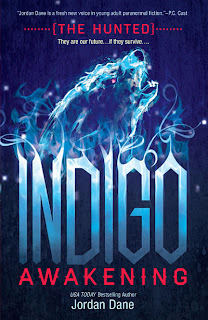 Rayne Darby discovers the truth about Indigo childern, and incidentally the church's mission, when her younger brother Lucas escapes from the mental institution their older sister, Mia, wrongly committed him to. In risky search for Lucas, Rayne meets Gabriel Stewart, a boy with a soulful rage and possibly the strongest Indigo ability of their generation. Meanwhile, the enemies are on the hunt for Lucas. Dane's style invites readers to see the whole of the action through the third person perspective of key characters. I mostly felt like a fly in LA air as the story follows characters situated in different parts of the city and all adding something real, emotional, or mysterious to the tone. Think, Amelia Atwater-Rhodes' Poison Tree, just without vampires and shifters and with a less dark tone. I'm torn between this particular style, though. I really like the chemistry between Rayne and Gabriel and if the story had just been between their perspectives, or even had just focused more on a different, smaller set of main characters, I would've felt better connected to the heroes and heroines by the ending. What I did like about Dane's style was feeling the evil radiating from the Indigo children's enemies. Their characterization was just right to make them the perfect characters you'll enjoy hating! I've been curious about Dane's work for a while, and though Indigo Awakening is my first I have to say that I'm impressed. I'm not 100 percent committed to The Hunted series, yet, but I can feel the story will escalate beyond my imaginings. The power these Indigo children possess are familiar, but so unique, and I'd love to see how much further Dane takes them. Bestselling, critically-acclaimed author Jordan Dane’s gritty romantic thrillers are ripped from the headlines with vivid settings, intrigue, and dark humor. 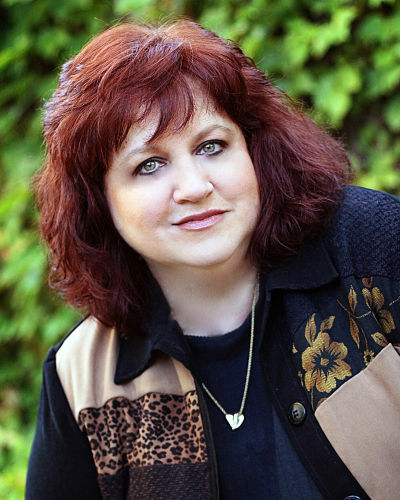 Publishers Weekly compared her intense novels to Lisa Jackson, Lisa Gardner, and Tami Hoag, naming her debut novel NO ONE HEARD HER SCREAM as Best Books of 2008. She also pens young-adult novels for Harlequin Teen. Formerly an energy sales manager, she now writes full time. Jordan and her husband share their Texas residence with two cats of highborn lineage and two lucky rescue dogs. Nice review. Thanks for being on the tour. I'm writing book #2 Crystal Fire now. From your insightful thoughts, I think you might like how the story evolves. Have a great week.